Product #6153 | SKU GFW-517 | 0.0 (no ratings yet) Thanks for your rating! Hosa Firewire 400 Adapter (6-pin to 4-pin). 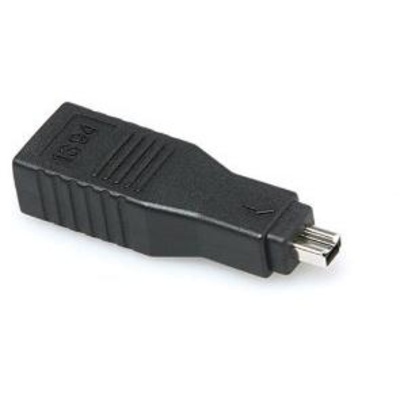 This adapter attaches a device, like a digital camcorder (four-pin port), to your computer (six-pin port), at a transmission rate of up to 400Mbps. It is ideal for connecting a DV camera to a DV recorder or PC.